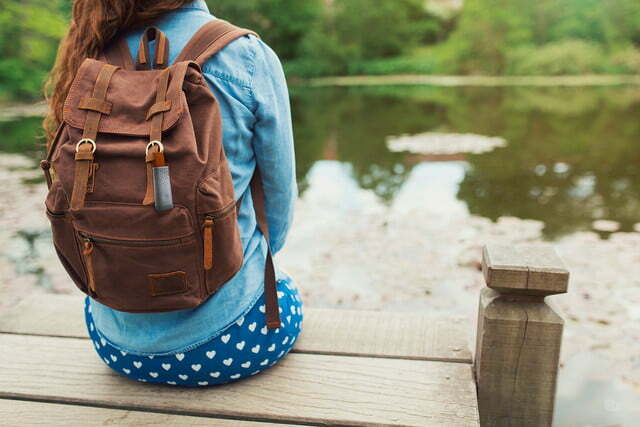 Urbanites deal with pollution on a daily basis. However, it’s a bit surprising that with all of the smart gadgets these days, there aren’t many portable solutions that focus on the active and health conscious. 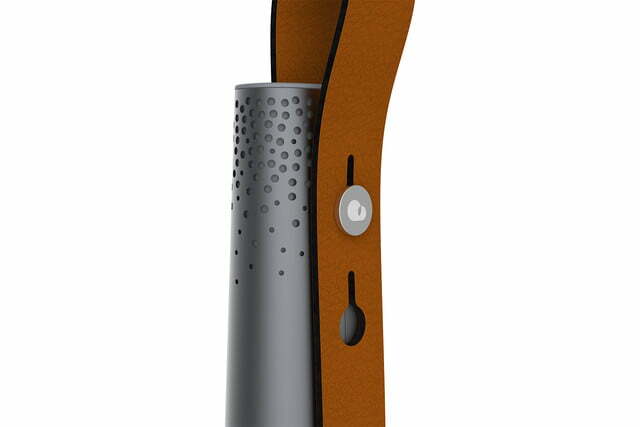 Enter Plume Labs’ Flow, a portable air-quality monitor that does just that. 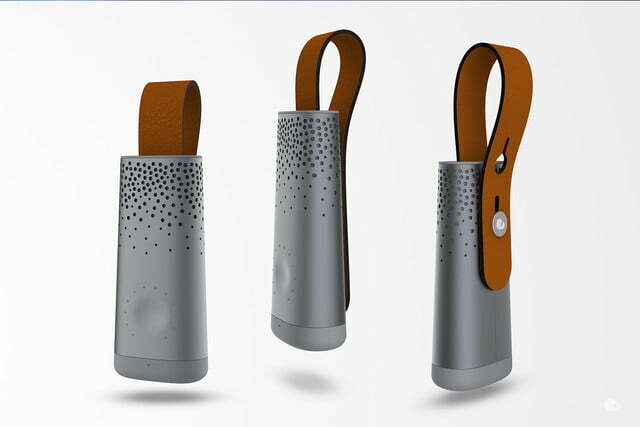 The Flow works both inside and outside the home, and can be attached to your belt or a bag thanks to an attached strap that lasts 12 hours on a single charge. It’s pretty discreet too, measuring in at 1.5 by 3.5 inches and an inch thick, and weighing about a half a pound. 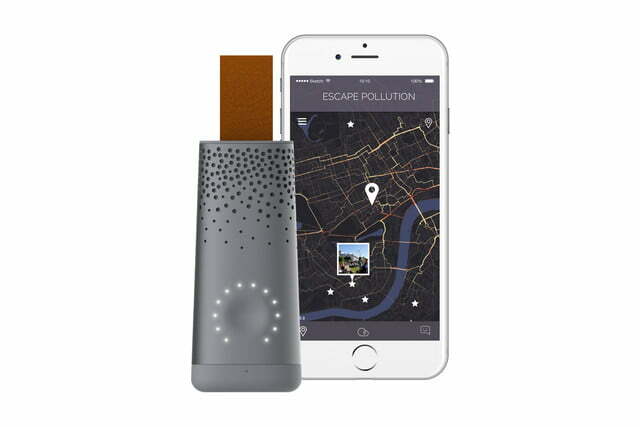 You can track pollution levels either through 12 colored LEDs on the front of the device, or through a companion app. But what makes the Flow most attractive besides its portability is what it can do. 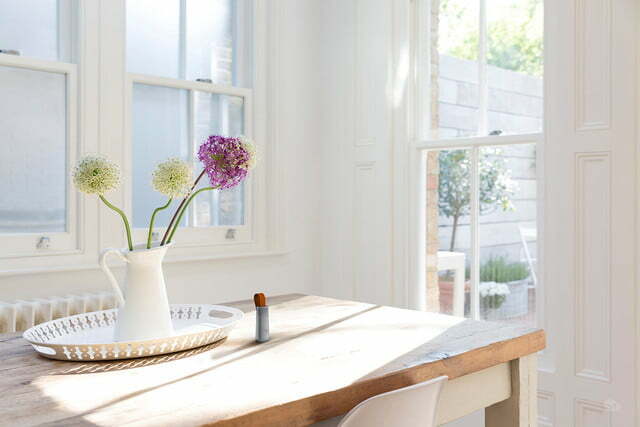 While newer, non-mobile smart home air-quality trackers have started to measure more, most are limited to CO2 and perhaps nitrogen oxide. 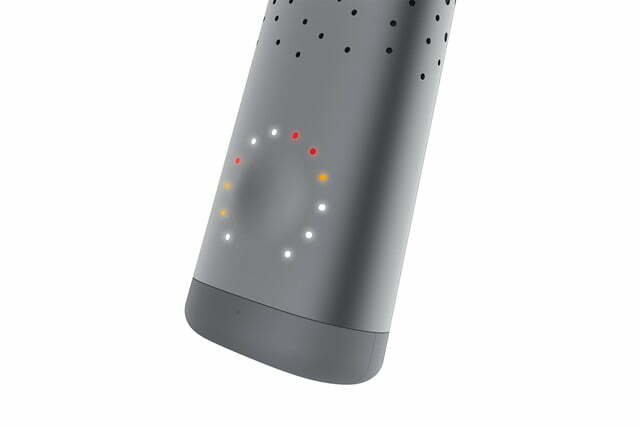 Flow goes further and measures small particulate matter (PM2.5) ozone, and even volatile organic compound levels, alongside temperature and humidity. 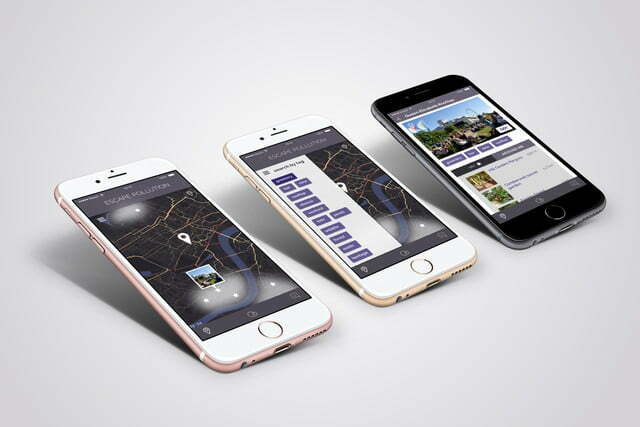 Taking it a step further, Flow’s app provides a street-level map of pollution levels, from both already existing sources and other Flow users. The result is like a crowdsourced pollution map, which gets better as more and more Flows are sold and used. “At a time when the dramatic health impact of unclean air is becoming ever more clear, we are confident that our product will help a wide community of users around the world enhance their environmental health, and help us all tackle the urban air pollution crisis,” Flow founder and CEO Romain Lacombe said. While you might think that Flow’s usefulness early on could be limited, Plume Labs already has an ecosystem to support the device even before the first ones reach the hands of consumers. 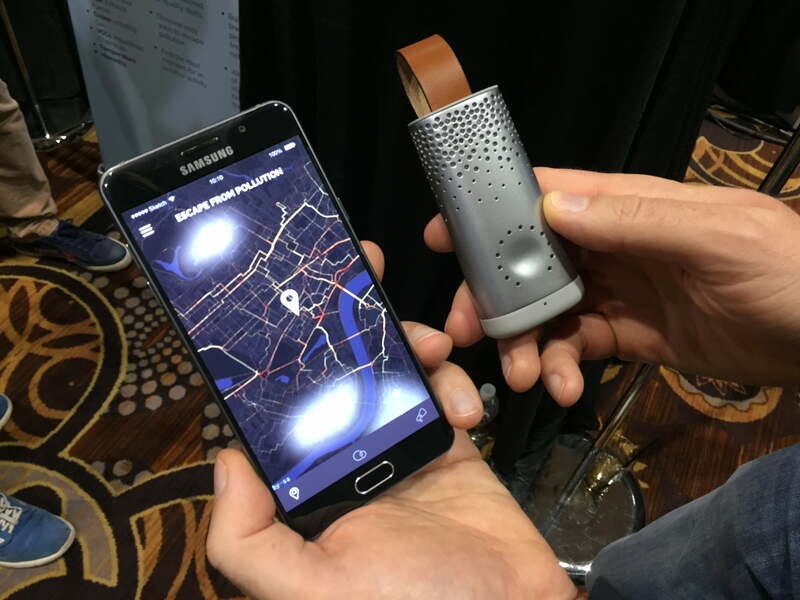 The company already has a service called the Plume Air Report, an air-quality forecasting app available for both the iOS and Android platforms. 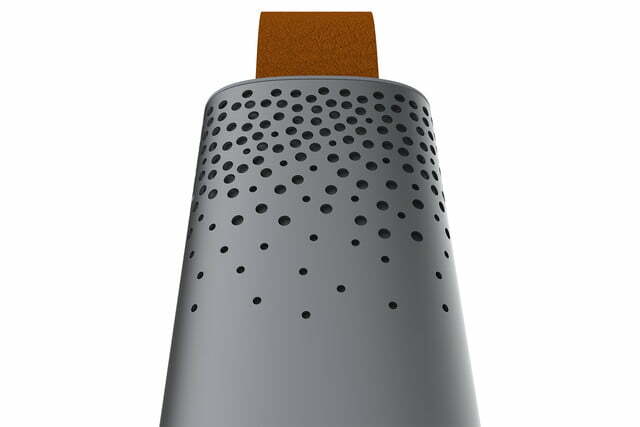 While the crowdsourced data side grows, Plume Labs will use this data to make the device useful for early adopters. At the moment, no pricing or availability has been announced, although pre-orders for the device are expected to begin in the spring.